The cemetery lay in a dim light as the sun had begun to set and the moon was slowly crawling his way up. A few visitors were still at the graves of their loved ones, but soon they would have to leave as the graveyard closed earlier during this time of the year. He believed it was due to the poor lightning they had on the grounds and from the street lights outside. It was barely able to illuminate the outer rows of graves and the farther you got inside the less you were able to see anything. 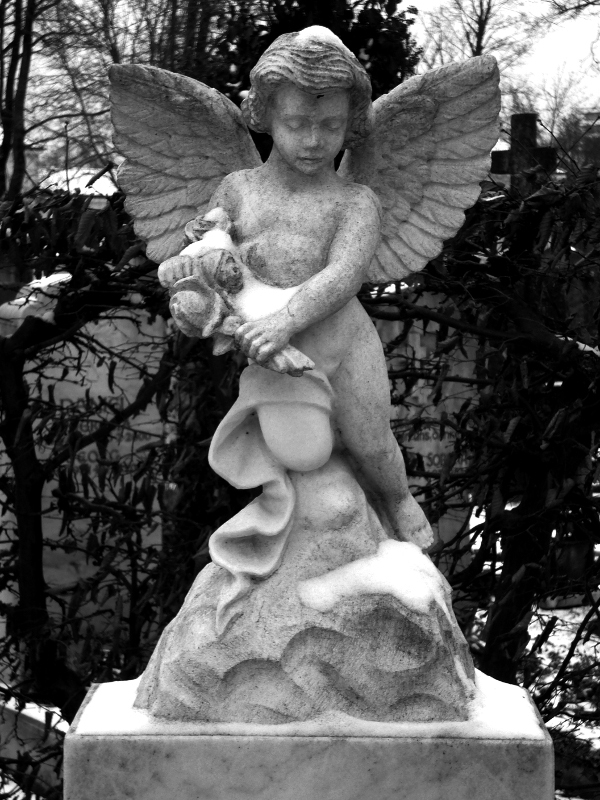 Continuing his walk through the graves he stopped by a neatly sculpted statue of a cherub; a small angel. He loved this statue and his walk always let him here. If he could, he would spent hours starring at it to find every little detail it had to offer. But it was difficult to discover them in the darkening day. To his misfortune the young man had never managed to see it in brought daylight. He only managed to arrive when the sun started setting and he left when he couldn’t see any more. Every day he tried coming earlier, but something always got in the way. Just once he wished to even be able to read the inscription. He had never managed to do that and today he wouldn’t be able to do it either. It wasn’t like he cared for the person lying beneath him, he simply wanted to know who was granted such a beautiful statue. He would love to include it in his collection of angelic motives at home. It would just fit in perfectly. While he contemplated where he would put such a thing the light started to fade. 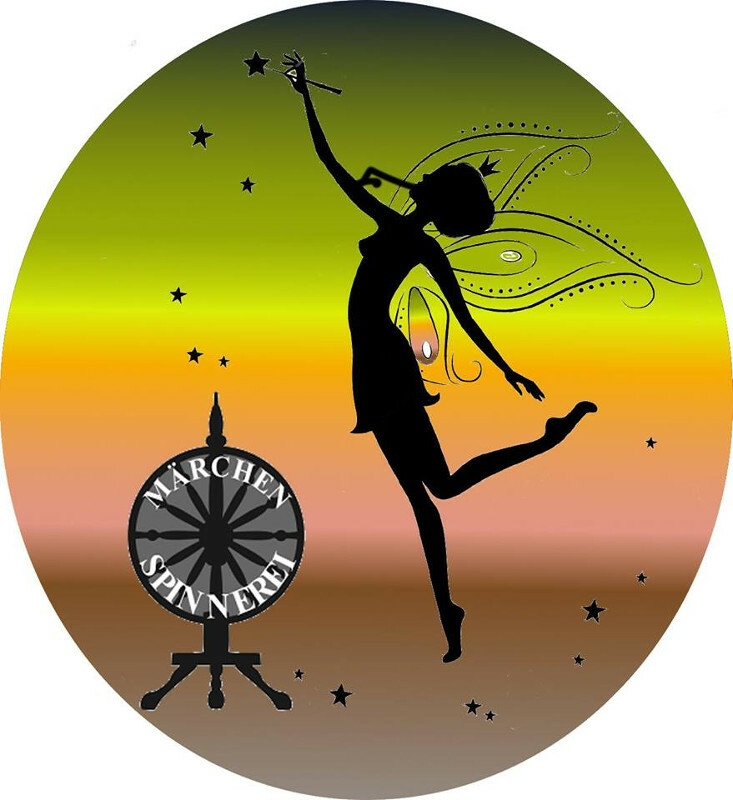 The orb of white light that floated just in front of the cherub became less and less visible by the minute. And as the sun was gone, so was it. Our beloved son now with the angels he adored. Der Friedhof lag im Dämmerlicht als die Sonne anfing unterzugehen und der Mond sich langsam seinen Weg nach oben bahnte. Ein paar Besucher standen noch an den Gräbern, aber bald würden auch sie gehen müssen. Das Gelände schloss zu dieser Jahreszeit früher seine Tore. Er glaubte das schlechte Licht, dass sie hier und von den Straßenlampen draußen hatten war schuld daran. Die äußeren Reihen der Gräber waren spärlich beleuchtet und je weiter man ins Innere ging, umso weniger konnte man sehen. Aber das kümmerte ihn nicht. Er spazierte weiter durch die Gräber bis er bei einer kunstvoll gehauenen Statue eines Cherub, eines kleinen Engels, stehen blieb. Er liebte diese Statue und sein Spaziergang führte ihn jedes Mal wieder hier her. Wenn er könnte würde er Stunden damit verbringen ihn anzustarren, um jedes kleine Detail zu erkennen. Aber es war schwer sie zu erkennen, wenn es um ihn herum immer dunkler wurde. Zu seinem Unglück schaffte es der junge Mann nie die Statue im hellen Tageslicht zu sehen. Er schaffte es immer nur anzukommen, wenn die Sonne begann zu sinken und ging wenn er nichts mehr sehen konnte. Jeden Tag versuchte er früher zu kommen, aber es kam immer etwas dazwischen. 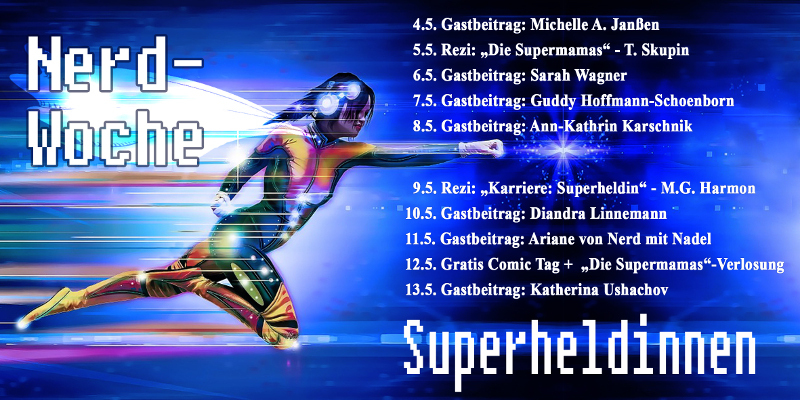 Nur ein Mal wünschte er sich auch nur die Inschrift lesen zu können. Er hatte es nie geschafft und auch heute würde es ihm wieder nicht gelingen. Es war nicht so, dass es ihn kümmerte, wer die Person war, die unter ihm lag. Er wollte lediglich wissen wem so eine wunderschöne Statue vergönnt war. Er hätte sie zu gern für seine Sammlung von Engelsmotiven mit nach Hause genommen. Sie würde einfach perfekt passen. Als er darüber nachdachte, wo er sie hinstellen würde begann das Licht zu verschwinden. Die Kugel aus weißem Licht, die auf Höhe des Cherub schwebte wurde durchsichtiger und durchsichtiger mit jeder Minute. Und als die Sonne verschwunden war, so war auch sie es. Unser geliebter Sohn, nun bei den Engeln, die er über alles liebte. I hope you enjoyed reading the seventh story. It is a bit different from the rest and was inspired by our stop at St. James Church’s cemetery during the Dublin Ghost Bus Tour. The tour guide told us to take three pictures of specific sides and see if any orbs appeared on them, which would indicated that our group was watched by ghosts. Luckily/Unfortunately there were none on the pictures Janzy took. The story was then written the next morning in Hostel before we went out to explore Dublin. And yes, the protagonist is a ghost. James – the church, obviously.